Open floor plan renovation. Family room addition w/fireplace and screened in porch. Updated kitchen w/granite, maple cabinets, and appliances. Hardwood floors. 3 BR’s on main, 2 full baths, private master bath! Generous rec room w/3rd full bath, w/w carpet, tons of STORAGE. Side entrance to LL. Covered carport and fully fenced yard. 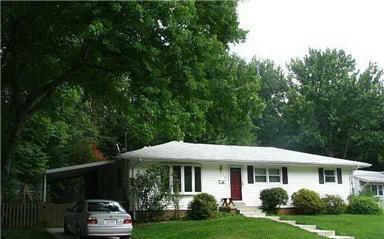 Walking distance to metro, shops, Meadow Lane Park.